Have you thought about what would happen should illness or injury render you unable to make decisions about your welfare, finances and property? Our experienced solicitors can guide you through the simple and cost-effective process of making a Property and Affairs Lasting Power of Attorney (LPA). This allows you to appoint people you trust to make decisions about how your money is managed. 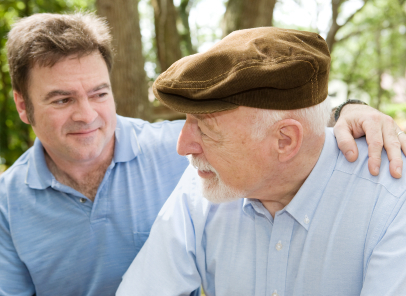 A Personal Welfare LPA will allow them to also make decisions about your medical treatment and personal care needs. Without a Lasting Power of Attorney, the only way for those closest to you to act legally on your behalf is to apply to the Court of Protection for a "Deputy" to be appointed. This is a long and expensive process and the Deputy has the burden of being required to file annual accounts. By making a Lasting Power of Attorney now, you can choose who you wish to act for you, how much you wish them to do, and minimise legal problems and expense. We can help you through the minefield of applying to the Court of Protection to appoint a Deputy to manage your loved one's finances. Our specialist lawyers give you clear and sensitive advice throughout the process. If the person who has lost mental capacity has not made a Will, or an existing Will is out of date, we can help you to apply for a statutory will to be made to ensure their wishes are carried out. For personal and sensitive help to put your affairs in order please contact us.